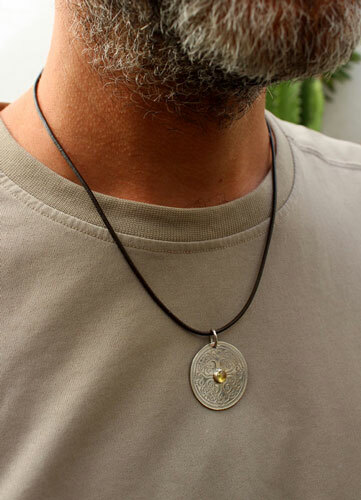 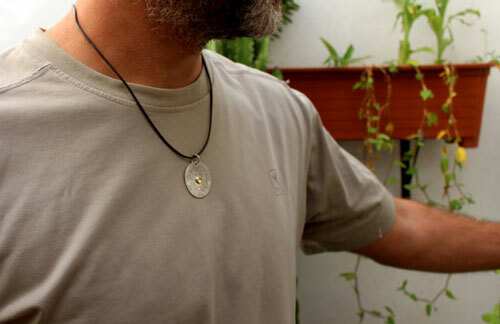 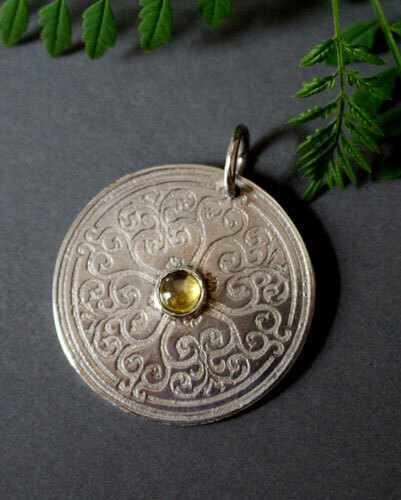 The Sunilda pendant represents a medieval shield. 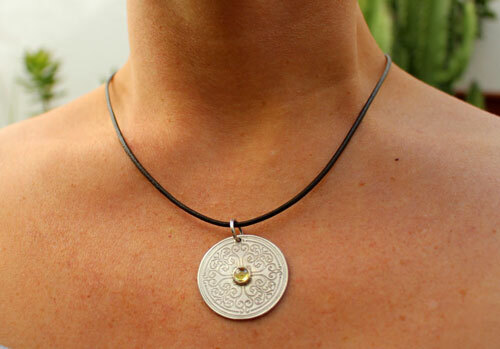 Sunilda is a Viking name meaning "the one who watches, who discovers the world". 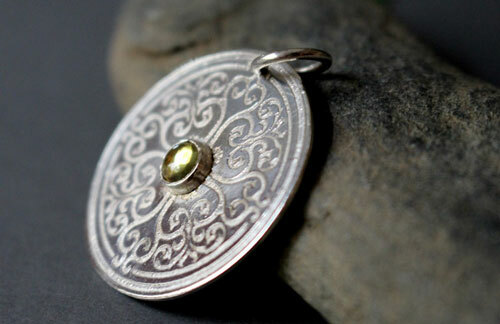 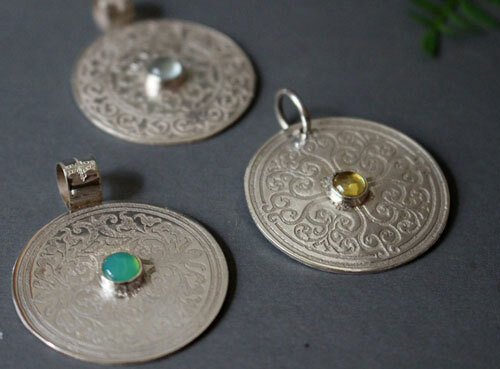 The silver disc is engraved with spirals in a gothic style. 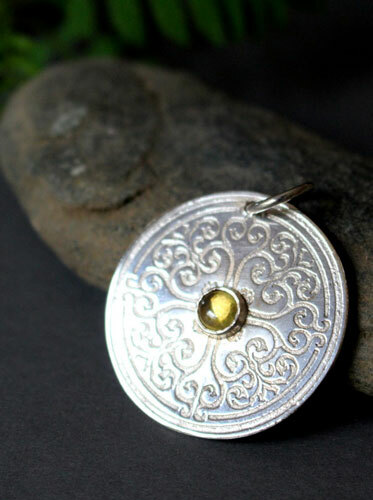 This pendant will suit both men and women. 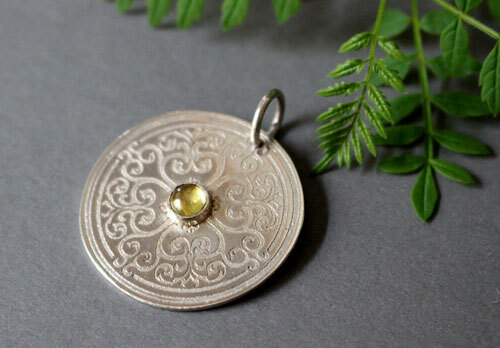 A beautiful yellow quartz cabochon was bezel set in the center of the pendant and almost makes us think of a shining star. 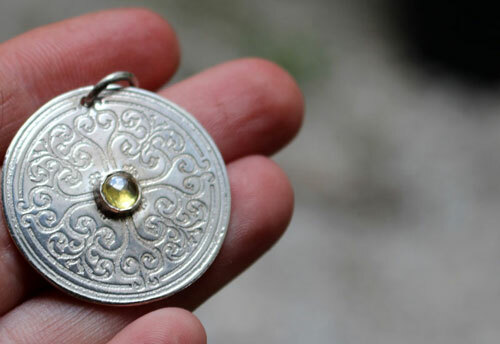 Tag: pendant, sterling silver, shield, medieval, quartz, yellow, sun, viking, coat of arms, legend, cabochon, nordic, scandinavian, germanic, germania, arabesque, conqueror, spiral, volute, history.